This Post has already been read 889 times. Innovation District 92 (ID92), an innovation hub located in the heart of Pakistan, Lahore, signed a Memorandum of Understanding (MoU) with the university of Oklahoma, under the branch of their College of Journalism and Mass Communications in connection with the United States Department of State, Professional Fellows Program. 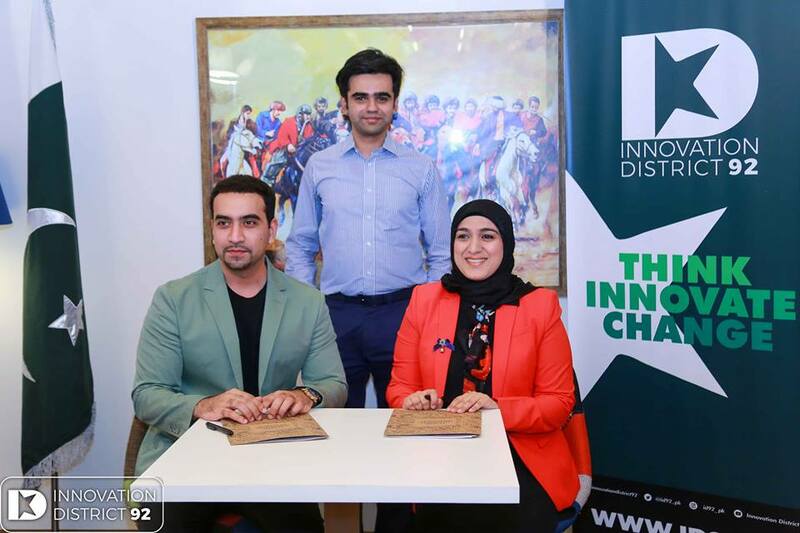 This MoU was signed by Nabeel A Qadeer, co-founder ID92 and CIO, Superior Group and Dr. Summaira, co-founder ID92 & Rector, Superior University. Through this MOU ID92 became the official in country partner of University of Oklahoma for the exchange program. The MOU is yet another success of the entrepreneurial sector of Pakistan where ID92 will provide the opportunity to gain international exposure. Under the provision of this grant, two cohorts of 3 Pakistani entrepreneurs/business educators/ business professionals will travel to the U.S for a five week exchange each. One of the two reciprocal delegations of American entrepreneurs/business educators/ business professionals visit Pakistan between spring 2018 and spring 2019. The future of Pakistan consists of a major share contributed by entrepreneurs where the potent mixture of innovation and ambition act as the catalyst for Pakistan’s economic growth. Initiatives and international exposures provided at ID92’s platform for all entrepreneurs around the country would not only refine their skills but would also allow them to develop international connections with mentors and investors. This achievement of ID92 is also an accomplishment of Pakistan’s nation who has been given the opportunity to present their potential ideas at an international level to an international market. Furthermore, cross-border interaction opportunities will support in building strong ties among U.S and Pakistani nation and would help improvise the perception of Pakistan in the U.S and vice versa.